Overview... former child star turned talk show host, now caught in the crosshairs of a supernatural battle. 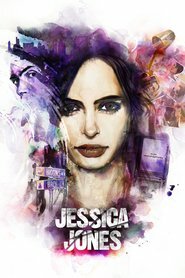 Her best friend Jessica Jones was once abused by her mind-controller boyfriend Kilgrave and when he seemingly returns from the dead, Trish joins the fight to stop him from claiming new victims. Personality... paranoid, loyal, and resilient. Her apartment is outfitted with a state of the art security system and she's a martial arts expert. A childhood of abuse made her vigilant to defend herself. Her skills are put to the test when a police officer controlled by Kilgrave enters her apartment and tries to kill her. She survives and doesn't back down – she fights alongside Jessica to make sure no one else is harmed by Kilgrave. Trish Walker's popularity ranking on CharacTour is #1411 out of 5,000+ characters. See our top-ranked characters and read their profiles.